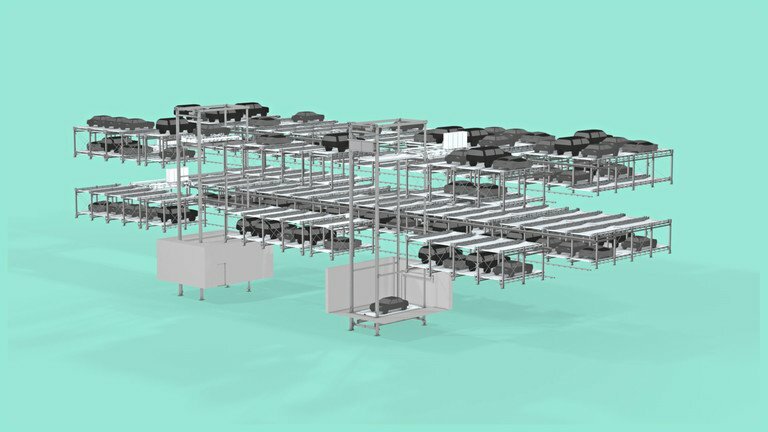 In New York, Istanbul, Madrid, or Munich – stolzer's automated car park systems provide convenient access to mobility, especially in compact urban areas. 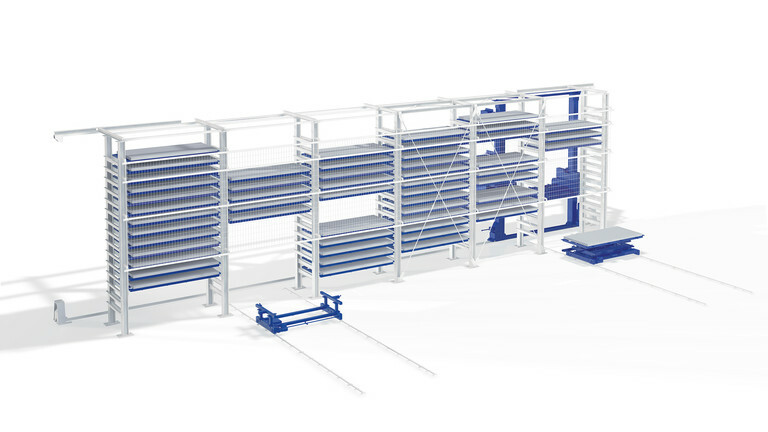 stolzer is a brand of STOPA Anlagenbau, and offers tailor-made premium solutions on the basis of extensive practical know-how. Users benefit from this new and exclusive form of parking. Architects and planners benefit from the flexible solutions to design demands. Solutions that save space and provide more creative freedom… and that are also both economical and reliable. Vehicles are parked in the transfer room in the driving direction. 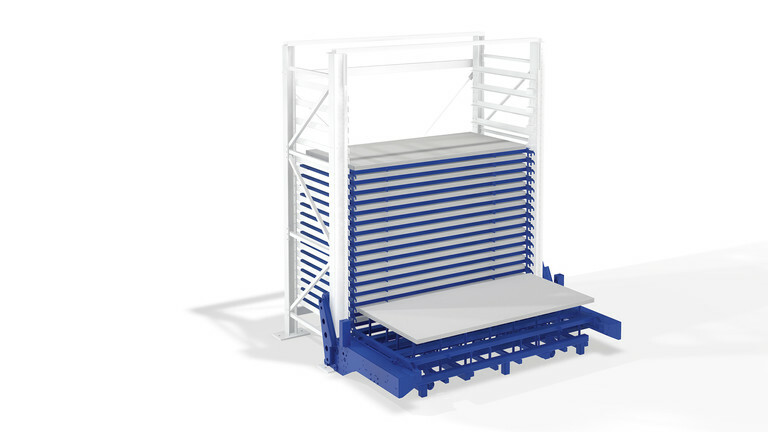 They will be monitored for proper positioning and, via turntable and the storage and retrieval unit, they will be transported onto an empty shelf of a rack structure. The driver does not enter the parking system. For parking, the vehicle will be turned to the exit direction once the parking position on the platform was validated and it is confirmed that passengers have exited the vehicle. 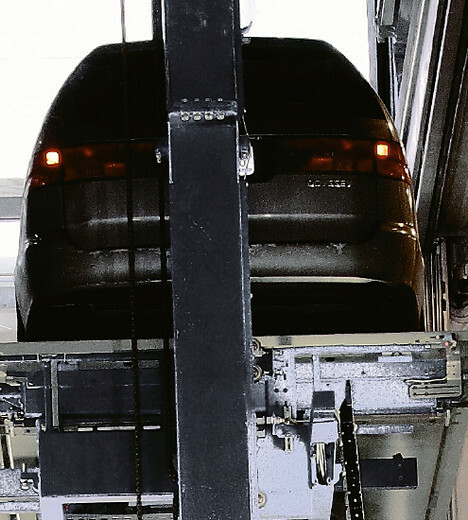 Then the vehicle will be parked by the conveying system. By using a turntable, the driving direction may be angled in the transfer room. 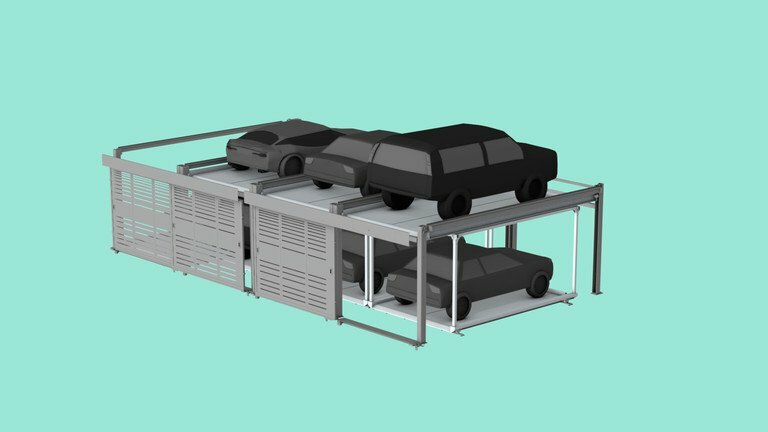 The automated parking system allows for twice as many spaces as a conventional garage. This is because the storage and retrieval unit moves based on a horizontal X and a vertical Z axis. 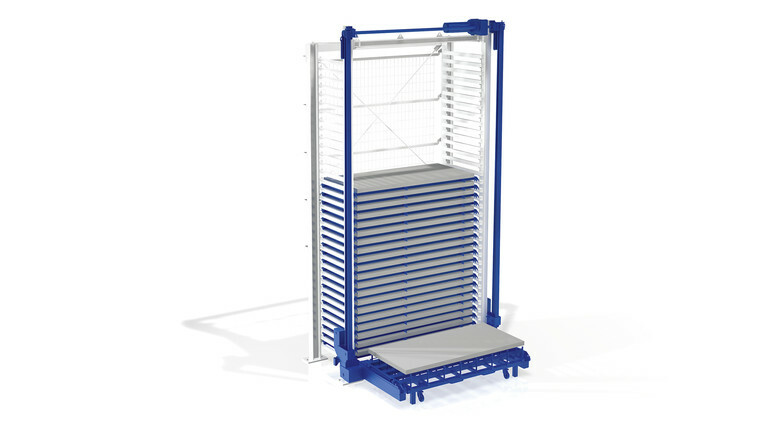 A horizontal Y axis services the shelves within the rack structure. 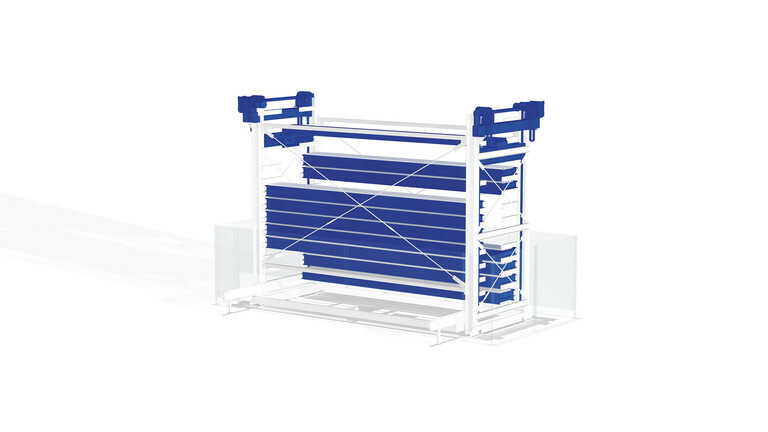 The free standing rack structure with attached facade, or a free standing solution in a building space, is designed as a solid steel structure. The vehicles are parked on pallets. A concrete structure can be used in place of steel. 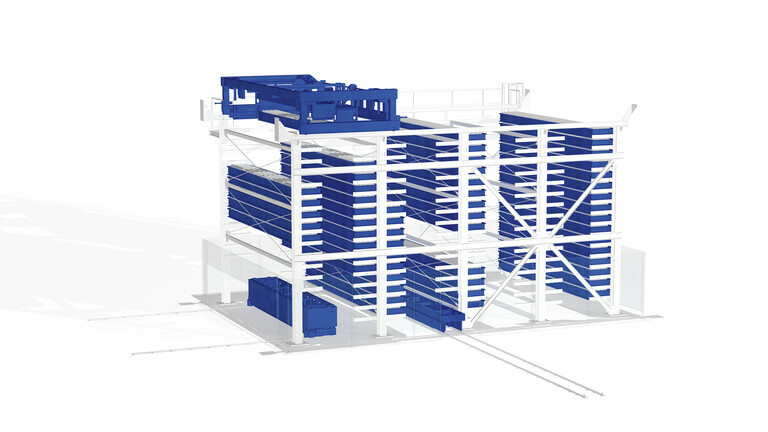 In a concrete structure, the pallet rails will be doweled to the concrete slabs in the parking Levels. 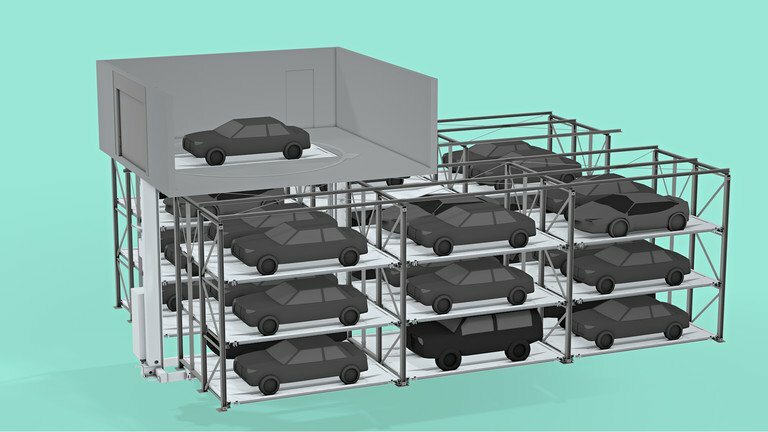 For users, stolzer car park systems come straight from the future. The vehicles are positioned in the driving direction in a ground-level Transfer Zone by pushbutton. 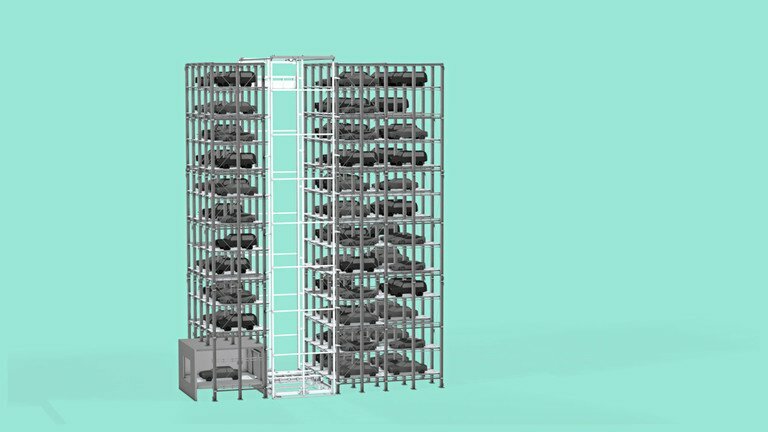 The system is as simple and intuitive to operate as an automatic car wash.
Every stolzer project is a unique and customized car park solution. 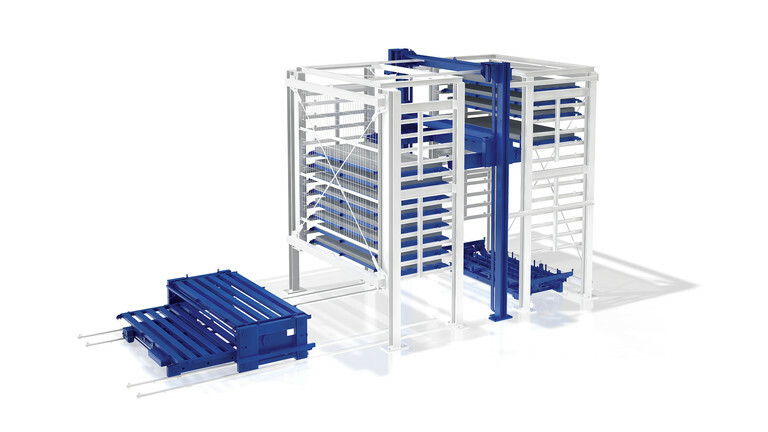 stolzer systems can be found wherever special solutions are needed. 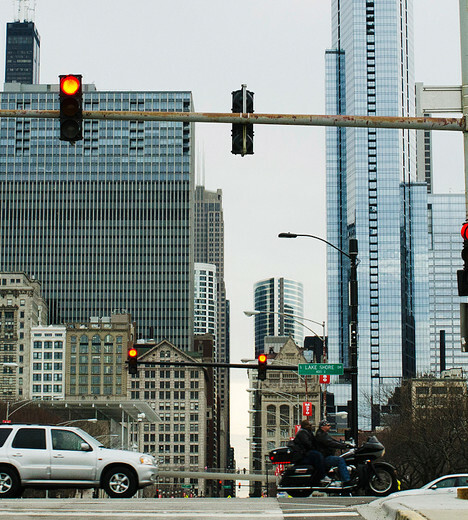 In crowded urban areas, with complicated geometries, and with buildings where style and quality are at a premium. 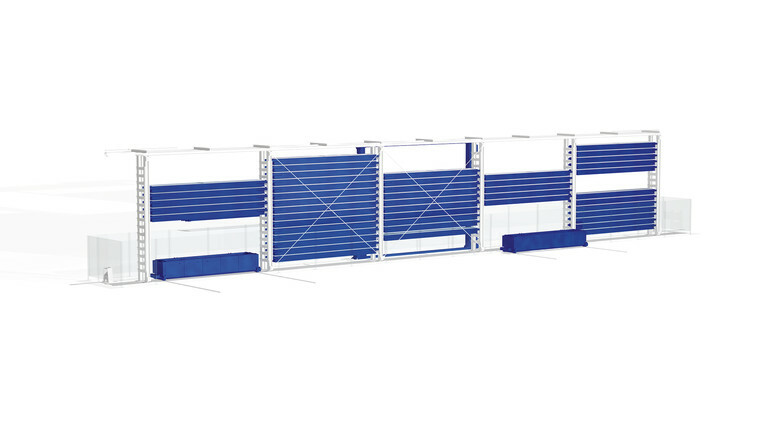 A stolzer parking system is characterized by great reliability and economy. With regards to both mechanics and control technology, it conforms to the highest international market requirements. 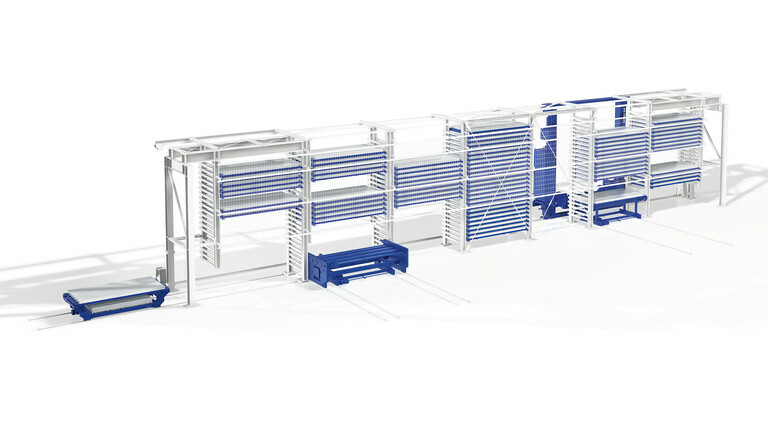 The know-how of STOPA Anlagenbau GmbH is the source of this technological edge. Your stolzer solution is always a three-point landing. Under both technical and budgetary aspects. These solutions arise as the result of end-to-end consulting that takes into account the entire product lifecycle, arrived at by engineers with extensive practical experience. 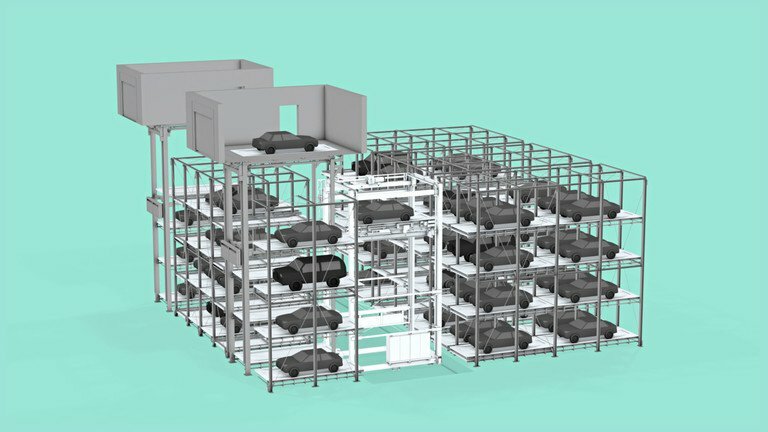 Wir liefern seit über 20 Jahren mit automatischen Parkhaussystemen individuelle Parkraumlösungen. In Europa und Nordamerika. Unsere Kunden kommen aus dem öffentlichen und privaten Bereich. Hier sehen Sie einige unserer Projekte. Weitere nennen wir Ihnen gerne auf Anfrage.